We understand that your real estate, whether it is your home, land, building, or shopping center, is an important and valuable asset. When a real estate issue crops up it is important to protect your property rights and your property value. We have handled real estate litigation in the district, county, and justice courts of Bexar and surrounding counties as well as other parts of central and south central Texas since 2009. Some of the real estate issues which we have litigated include boundary disputes, easements, fraudulent transactions, improper liens, breach of sales contracts, eviction, adverse possession, partition, homeowners association disputes, and redemption. Having an experienced real estate litigator ensures that you understand your property rights before going into a potentially costly court battle and allows you to be informed about the possible outcomes ahead of time. We have the experience and knowledge to provide you with a comprehensive analysis of your real estate issue. 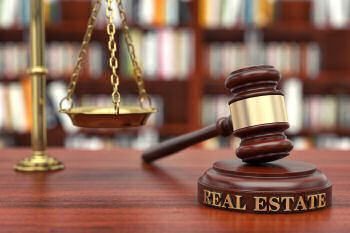 We are prepared to sue to protect your real estate rights or defend you if you have been sued. Call us now at (210) 802-9377 for a free consultation. I am buying or selling real estate. I need to transfer real estate to myself, another individual, a business, or a trust. I am an investor and need to make sure that my real estate investment is protected.